Interstate 70, a principal artery for long-distance travelers across the United States, covers 2,153 and crosses nine state lines between Utah and Baltimore, Maryland—and most of the route, admittedly, is less than scintillating. After all, America’s mega-highways were built primarily for ease of travel, not to catch scenic views. There are a few spots where I-70 shines, however; perhaps foremost among them is a 104-mile stretch between Salina and Green River, Utah. 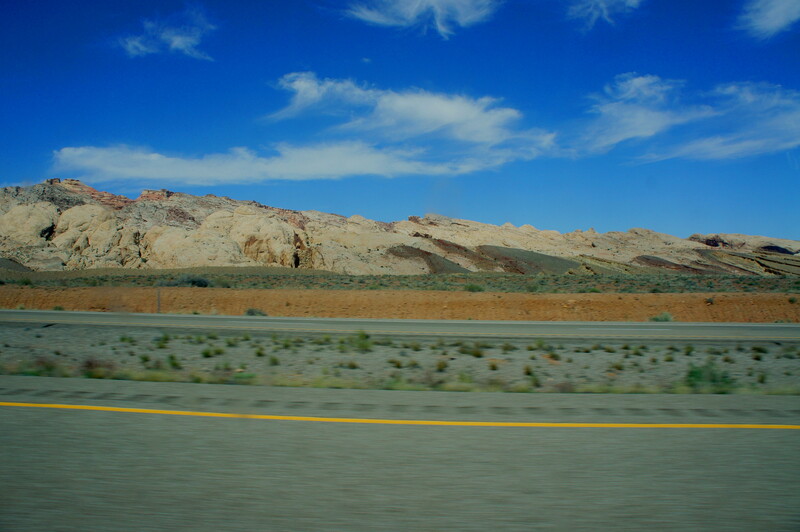 Here, from west to east, the highway drops several thousand feet from the subalpine Wasatch Plateau to the San Rafael Swell and Sinbad Country, an intricate labyrinth of spiraling canyons and striated buttes, then drops again through the San Rafael Reef to a wide open expanse of remote desert. There are a number of rest/picnic areas on either side of I-70, most notably at Devil’s Canyon, Ghost Rock, and Spotted Wolf Canyon. Check out the photo collection below for a handful of pictures of the route. 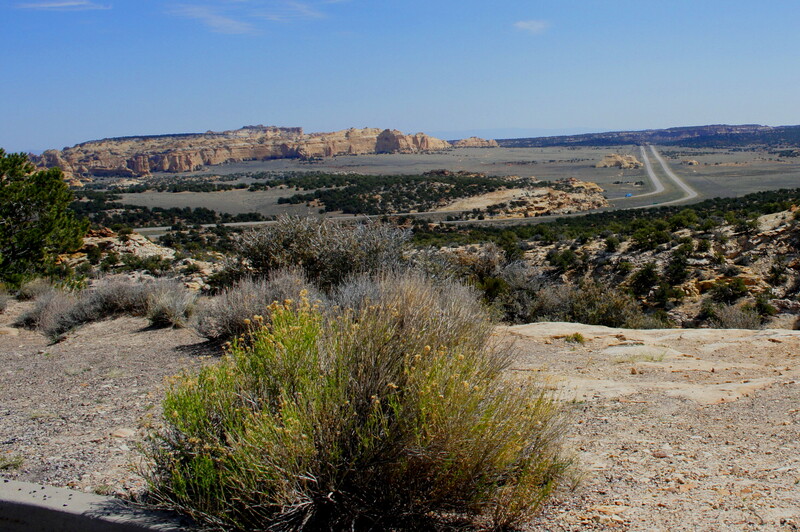 This entry was posted in Scenic Byways, Utah and tagged canyon, Devil's Canyon, Ghost Rock, I-70, Interstate 70, San Rafael Reef, San Rafael Swell, scenic byway, Sinbad Country, Spotted Wolf Canyon, Utah. Bookmark the permalink. 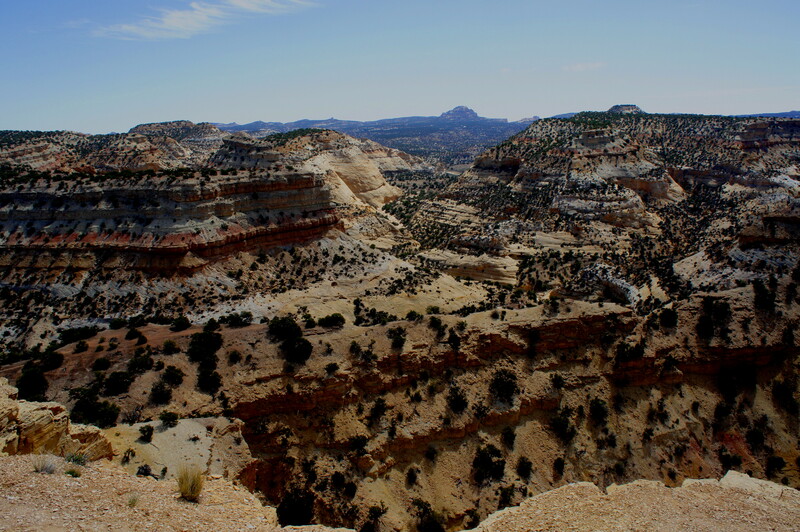 Boy, we sure do miss southern Utah! It was so incredible how many different colored mountains there were. 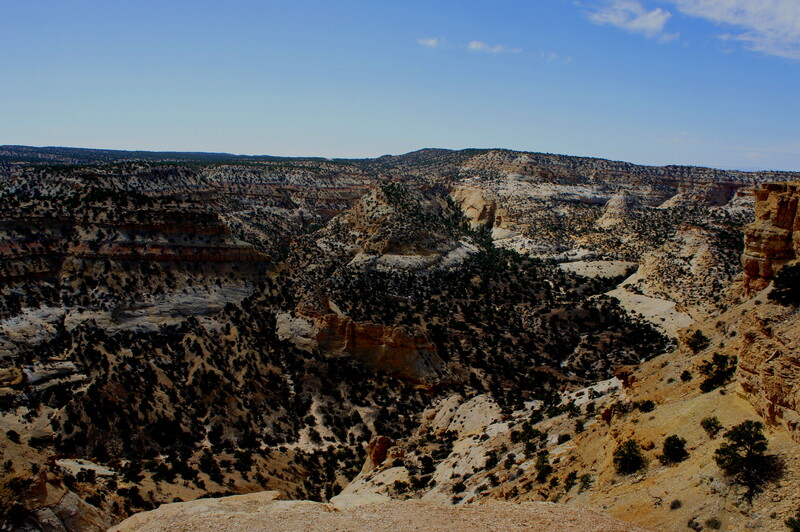 And the canyons were so vast and beautiful! Went through a very gigantic red rock pass on I-70 which was a sight I’ll never forget! 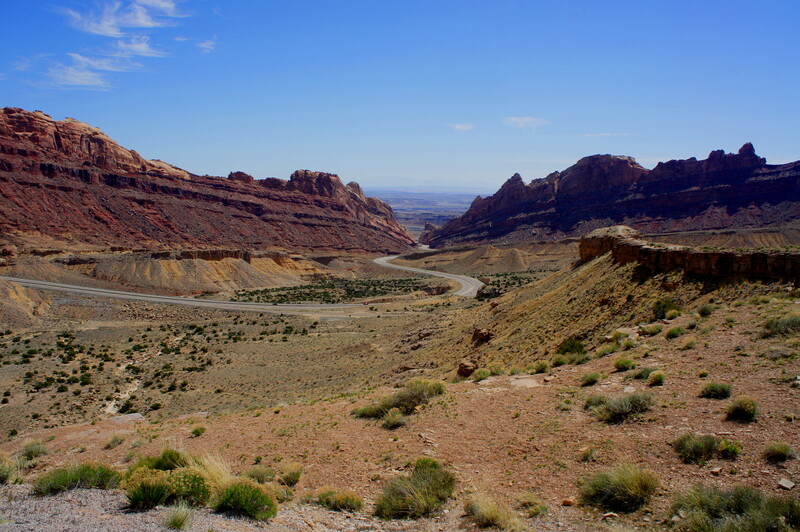 I went through Utah on a roadtrip last summer and it was just breathtaking. I’m sure daylight will help-enjoy your trip!